Service That’s As Dependable As Your Lexus And Just As Enjoyable Too. Receive 10% when you come in for your 30k, 60k, 90k or 120k maintenance services! 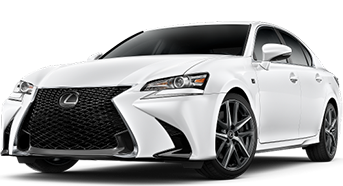 At Lexus of Knoxville, it is our goal for your service experience to be of Lexus level. With complimentary Wi-Fi, complimentary drinks and snacks, and a comfortable lounge, we strive for you to be at ease as you wait on your vehicle’s service to be complete. Plus, with Lexus certified technicians and service consultants, you know your Lexus vehicle is in the right hands. Schedule a service appointment today! Lexus of Knoxville can provide you with a replacement vehicle that is comparable to your personal vehicle for as long as your vehicle is in our service center. We also have a shuttle service available for same day pick up and drop off within a 15 mile radius of our facility. If you do not want to be called, we can send you a text when we are done with your service or if we find any issues. When you are ready to pick up your vehicle, you can even skip the line and pay for your services using your phone, tablet, or laptop.